Every Christmas tree is special. And each one deserves to be loved for its uniqueness. 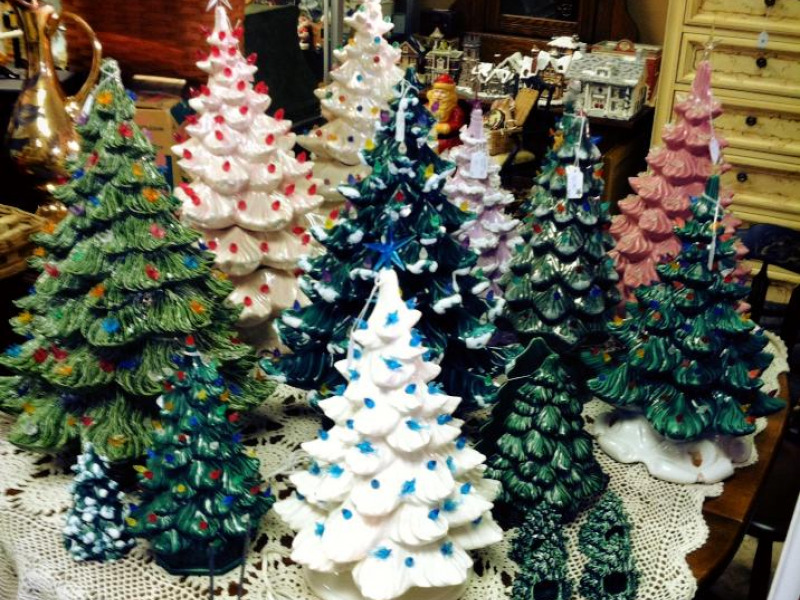 No one believes that more than Alecia Ford, who’s spent years giving a home to ceramic Christmas trees. She appreciates their vintage beauty, but it’s also about the love that went into creating them. Her passion is also rooted in nostalgia. “There was a time from what I have heard, and especially here in this valley, that it was very popular for people to go to ceramic studios,” said Ford, who lives in the Northern Panhandle. Ironically, these unique works of art are popular once again. Changing times and tastes weren’t kind to many of these family heirlooms. 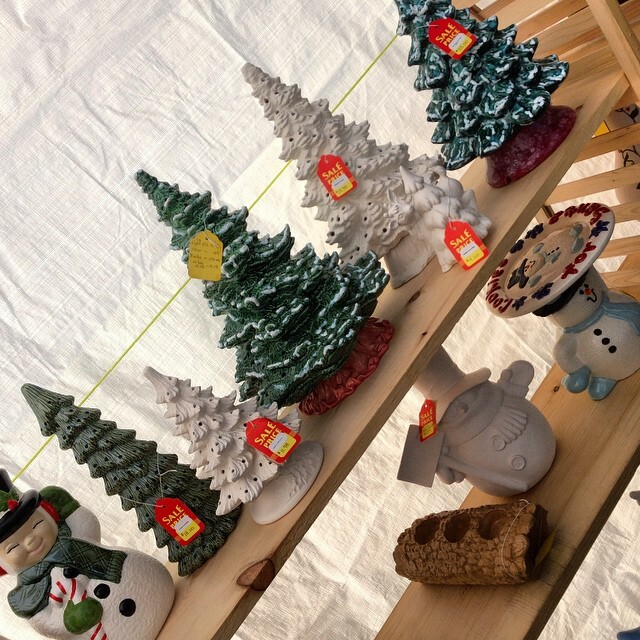 More recently it was common to see them in yard, estate and junk sales for just a few dollars. Ford, however, never met one she didn’t love. “I can remember back when I was in highschool and I thought the one my mom had was so ugly,” she said. Everything old is new again now. She’s collected 56 so far, and is happy to “give a good home” to others. Today her home is filled with the familiar holiday glow, and it wouldn’t be the holidays without them. Deciding how to display them each year is a labor of love. This year’s is a multi-level grouping, and has a special glow. 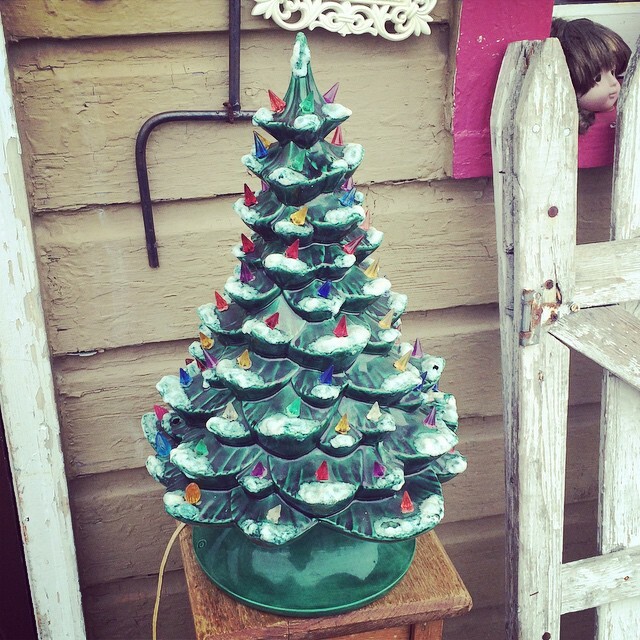 Even her husband has caught the ceramic tree bug, and that’s a true gift. He called her after spying an extra large one, more than three feet tall, in a shop window. But a few hours had passed, and it was already gone. “Oh yeah, somebody bought it right away. But then he took me back to that store and we just started buying them. Plus people started giving them to me,” she said. One gifted tree was pearl white with blue ornaments. “The lady who owned it said her kids didn’t want it, so I definitely did. Now I just buy these up, but the absolute best are the ones from a family and they want me to have it. If you know me, I’m not a super family person. I don’t have to have someone over for every holiday. But the idea of someone making something with their own hands that was meant to last, and then it not being wanted is just very sad. I want it to have a home,” she said. Her entire basement is devoted to these lucky trees. “It’s like the island of misfit toys, since no one seems to want them. These reminders of the past have struck a special chord in her. 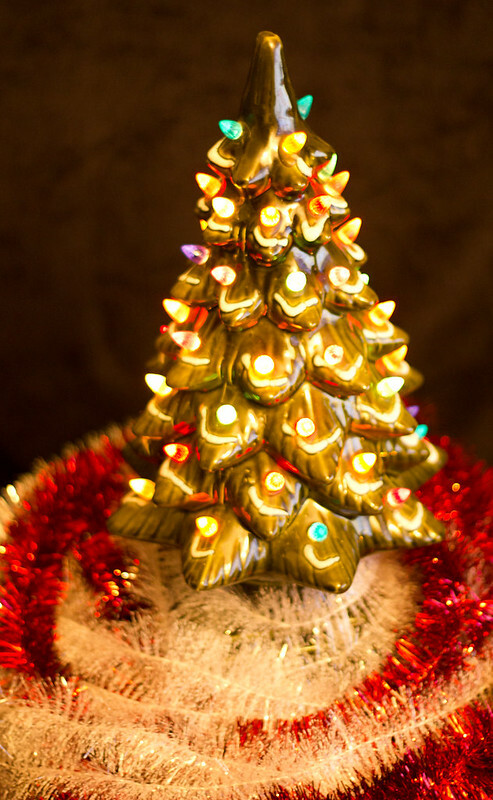 “I am not sappy about anything other than these kind of Christmas trees,because I love them. And once you get them, these feelings get stronger,” she said. It’s more the merrier, and it shows each year. Some of the more unusual include skinny ones made to sit on window sills. Color is in the eye of the beholder, and that’s not always good. “I bought one the other day that someone had painted to match a specific room, and it is a very 70s shade. Now there’s a new color challenge. And she’s hot on the trail. “Turns out the Holy Grail is a hot pink tree. And someone up here has seen somewhere a hot pink ceramic tree that some made. My grandma owned a ceramic shop in Westover in the early 80’s, she used to make these trees every year and gave classes on them. Wonderful memories! !